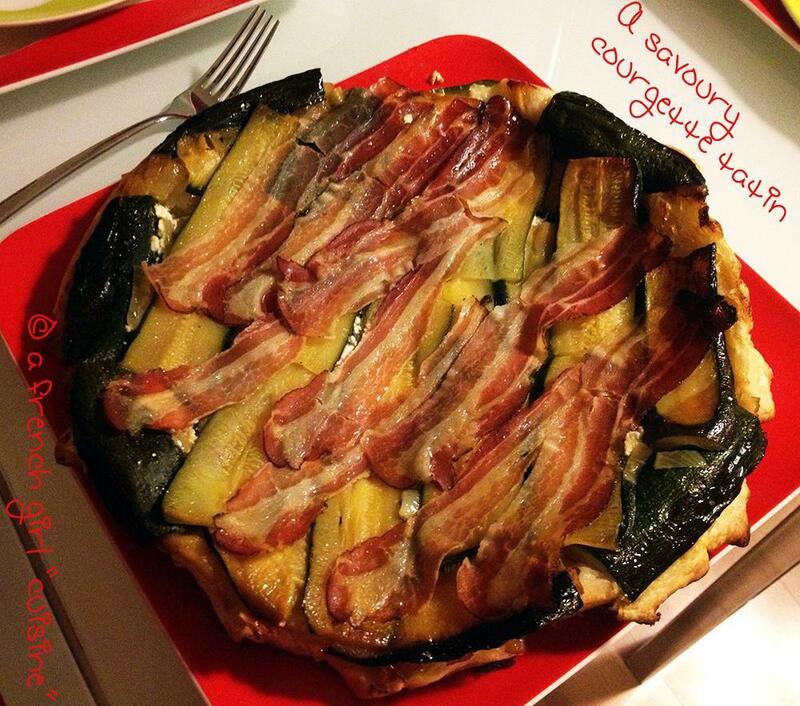 Goat cheese & courgette tatin! As I said earlier this week, I would like to share with you older posts; but very successful among my friends. Let me know what do you think about this pie! Preheat your oven to 200C. Cut the courgettes in the lenght. Fry the courgettes in a pan with olive oil.Dice the onions after removing the green sprout. Spread a bit of olive oil on the pie plate and place the bacon slices. Add a layer of courgettes on the pie plate. Brown the onions in the pan. Add a layer of onions and then a layer of goat cheese and pepper. Place the puff pastry on the top and riddle of holes. Bake during approximately 30 – 40 minutes until the pastry is ready. After taking out the pie of the oven, turn it over. Ooohhh, this looks so good!! Thanks for sharing.